Padded Sculpin are incredibly curious. They’ll sit and look at you, half-concealed by a rock and play games all day long. Just make sure you never take their stats seriously. They tend to exaggerate. If you can’t get ahold of @Cottus_rex on Twitter, try the Mola Marine PNW Sculpin Guide 3.0. The first micro sculpin I’ve ever caught using non-micro gear was the Padded Sculpin. I spent most of the night throwing little crappie jigs for juvenile rockfish. I slayed the Black Rockfish and Grass Rockfish, the latter being a surprise given their relative rarity in Oregon. This juvenile Grass Rockfish threw me for a loop. Too bad I couldn’t get a better pic. As I toyed around with crappie jigs, I switched to a smaller ice fishing jig and tipped it with a bit of worm. I let it fall over the edge of the large, submerged boulders supporting my weight. As it dropped, I fell a tiny tap. I pulled in a small sculpin that looked more like a freshwater sculpin than the saltwater sculpin I was expecting. It was a relatively boring-looking Padded Sculpin. Now, I wish I’d known this myself, but I had to call upon the expertise of Thaddeus Buser (@Cottus_rex on Twitter), a PhD student who is an absolute master at identifying Pacific sculpins. He does all of my stunts, and then I repeat them later with markedly less confidence. He helped me figure out this one, which is good, because I switched to micro gear and caught a second one just a few casts later. 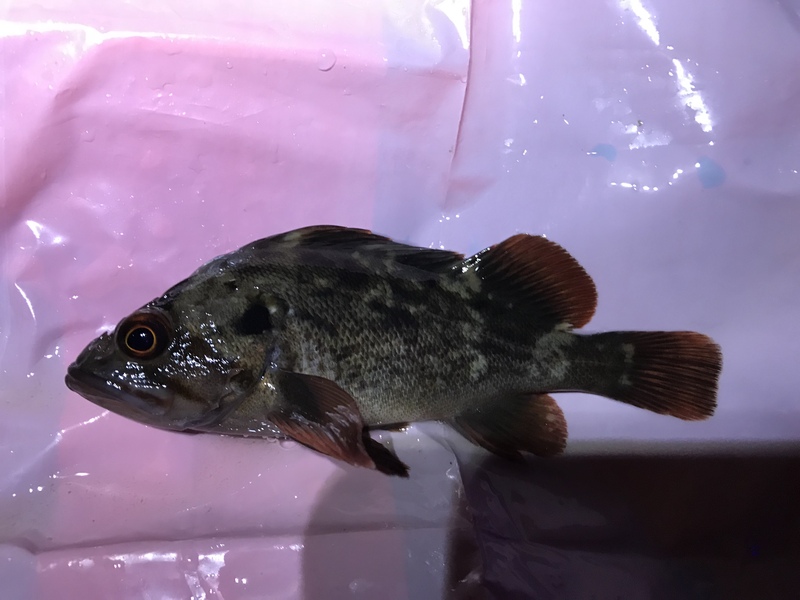 Padded Sculpin are supposed to max out at about five inches, and the smaller of the two was five inches, but the first, larger one was well over seven. NBD. 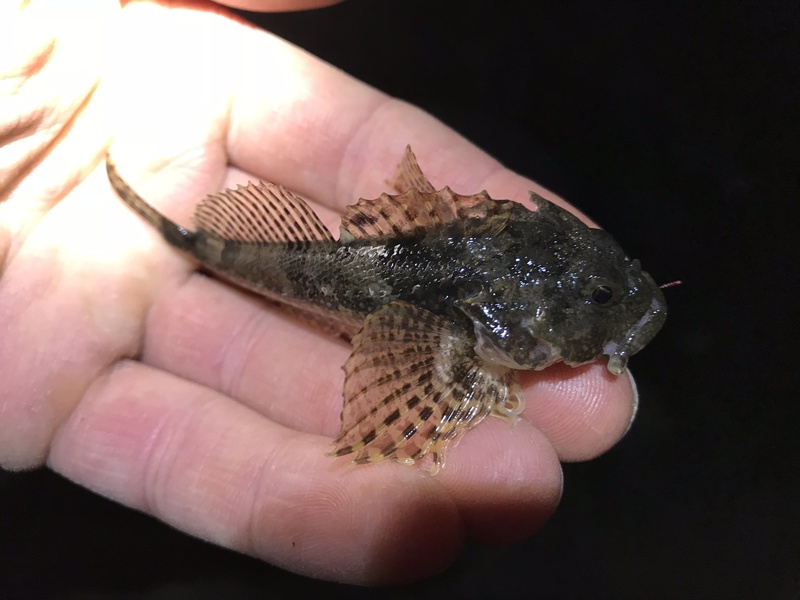 Later that night, I went back to the freshwater and caught a massive Prickly Sculpin, a species I already had. Icing on the cake. Read the next entry in #SpeciesQuest here: Species #122 — Klamath Marbled Sculpin.